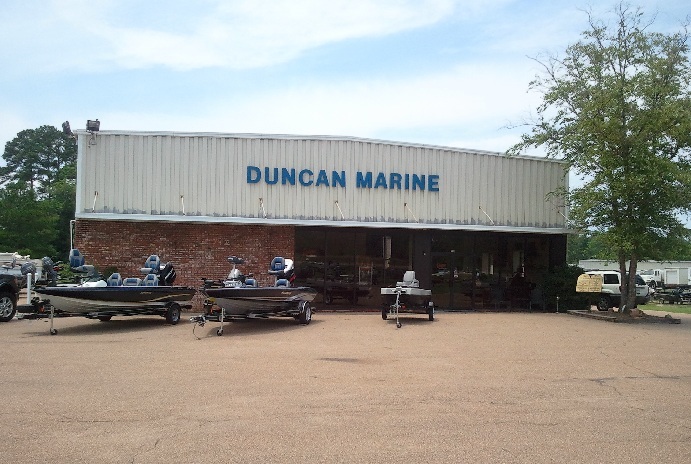 Duncan Marine, 1208 Old Fannin Road, is planning a move from it's current location at 1208 Old Fannin Road to a new facility on Highway 25. The owner recently purchased 10 acres of land on the west side of Highway 25 just north of Holly Bush Road and plans to construct a 32,000 square foot facility. Eddie Smith, owner of Duncan Marine, expects the new site to be ready early next year. 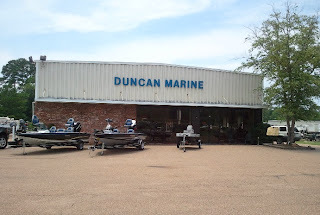 Duncan Marine was founded in Jackson in 1972 and originally known as Marine Mart. It moved to it's current location in 1999.
RJ's Outboard Service will also be relocating to the new location. More information about Duncan Marine and their products/services can be found here. Info about RJ's Outboard Service is available here. Best boat dealer and service operations I have veer seen. RJs is great. Duncan has poor customer service if any. Day after buying a new bayliner i needed a replacement part do I called salesman for help. Absolutely rude and useless. Had to go up there to show them broken part first guy says talk to him and him said talk to her then her said walk out back and ask them. Guy in back looked thru his tool box, a 5 gallon bucket, and said nope ain't got it and no use in ordering cause take to long. Co-worker told me to call Blue Water Boats surprisingly he understood what I needed over the phone. He checked stock and said yea I got one here. Pulled up just as they where locking door to leave and w/out hesitating unlocked got me what I needed. Next time you pull up at Duncan skip the guy smoking beside the front door. Absolutely the best boat dealer in this part of the state hands down. And to be the best boat dealer you have to have someone to service the motors. That is where R.J.'s Outboard Service comes in play. The most experienced an knowledgeable staff in Mississippi. R.J. Koskovich and Rob Koskovich have the best reputation in the business. Imagine That, someone leaving a negative comment about Duncan Marine, probably made it up. And then signing it Anonymous! I have had nothing but great service from everyone at Duncan Marine. Several boats purchased from them, and will probably buy a few more. No doubt it was a negative comment. Nobody up there has a dang five gallon bucket for a tool box. I have had only great experiences with Duncan Marine. They greet you at the front door and will help you in any way possible. I just want to know who does their yard work, its always so well groomed.